The Employment Solicitor’s Worcester office is the head office and central hub of the firm, based minutes outside out of the city centre in the stylish Diglis Basin Marina. From every window in the office you see water, boats and swans. In order to keep up with the firm’s rapid expansion, we have recently acquired the premises next door and combined these 2 offices into 1, therefore doubling our space. Our amazing Brand Director has single-handedly created a super stylish space to be proud of and for our clients to enjoy. This, combined with the warm welcome and the expert employment law advice you will receive, makes the visit worthwhile. Our Worcester office is in the most beautiful location. Based in Diglis, the office looks out onto the vibrant and busy canal basin which is only a few minutes’ walk or drive from historical city of Worcester, 10 minutes away from the train station and 10 minutes off the M5. The best postcode to use for parking is WR5 3BW. If you don’t have a sat nav, you can use the direction finder below. 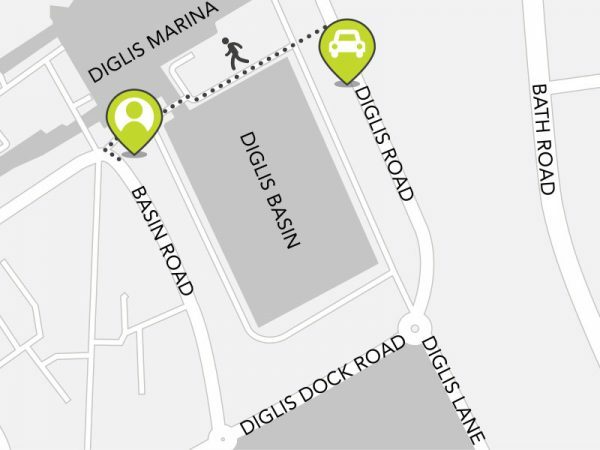 The adjacent map shows you where to park and the very short walk to the office over the wooden footbridge.